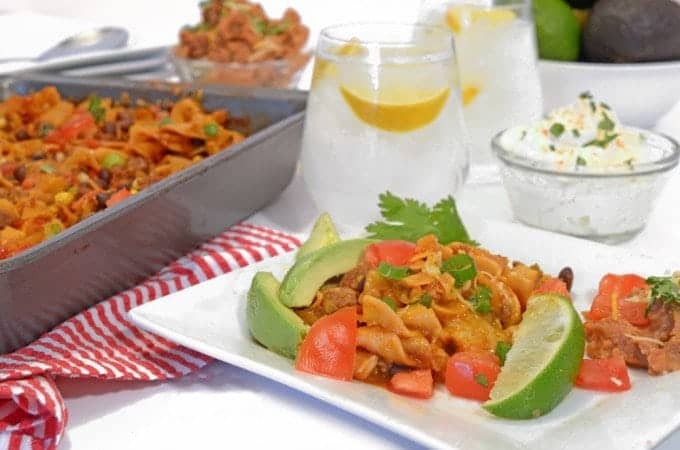 Taco Beef Noodle Casserole Recipe – Whether it’s cinco de mayo or just an ordinary weeknight dinner, this fast and easy Taco Beef Noodle Casserole Recipe will please the whole family for just a couple of dollars per serving. 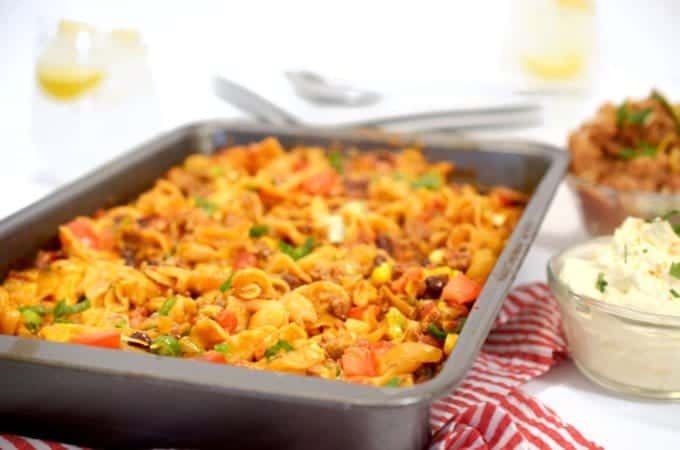 This Taco Beef Noodle Casserole Recipe from Platter Talk is full of southwest flavors. Fresh pan-roasted sweet corn, black beans, and mild diced green chili peppers are all highlights of this south of the border dinner entrée that can be enjoyed on either side of border. Preheat oven to 400°F. Spray 13x9-inch baking dish with cooking spray. Place uncooked noodles in baking dish. Place oil in large skillet and heat to medium-high. Add corn, and pan-roast for 4-5 minutes until the kernels start to turn brown. Remove corn from skillet and set aside. Using the same skillet, heat over medium-high heat. Add beef; cook 5 to 7 minutes or until crumbled and no longer pink. Drain. Add corn, beans, chili peppers, undrained tomatoes, enchilada sauce and water to skillet; stir. Bring to a boil. Pour mixture over noodles. Cover dish tightly with foil; bake 15 minutes. Stir; sprinkle with cheese and cover with foil. Bake 10 minutes more or until noodles are tender. Sprinkle with green onions. Serve with sour cream, if desired. Substitute frozen or canned corn for the fresh pan-roasted corn, if desired. Oh this is going on the dinner list for next week!! Can’t wait to try it! Yum! 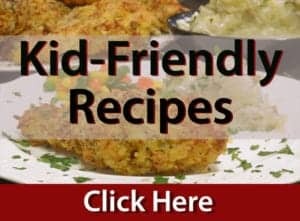 I love a good casserole and the southwest taco flavors with noodles sound really yummy! It’s a tasty dish, for sure! Thanks so much for stopping by Platter Talk. It’s such a simple and tasty dish, Tiffany. I think you will love! This is the kind of meal my family will love- it’s perfect for a chilly weeknight! I cannot wait to try it! This is the perfect dinner for a busy week. My kids love the taco and pasta in one. This dinner is a winner. 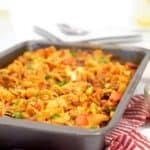 My daughter would so love this Taco Beef Noodle Casserole Recipe! Thanks so much for it – I am loving those extra wide noodles you used – this would be perfect the next time my daughter brings her friends home! I love mixing up cuisines like this, it sounds wonderful! 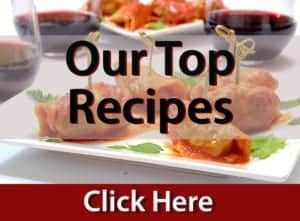 I love amazingly tasty recipes that are easy and inexpensive! This would be a wonderful weeknight meal! Mmmmmm! I love it, you’ve blended Taco Tuesday and Spaghetti Wednesday! There’d be no complaints in this house!